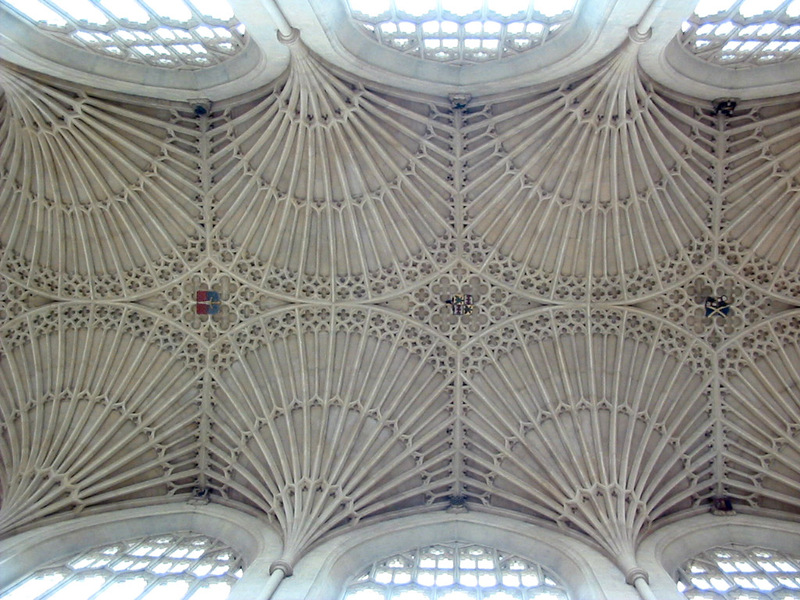 Here’s a shot of the delicate fan vaulting in Bath Abbey. This is from our trip in 2002. Unfortunately we took way too much time at the Tourism bureau trying to arrange a B&B for that night.